The Condrieu AOC is home to only one variety of grape, Viognier Doré. Here, just a few leagues downstream from Vienne, it has given birth to a wine that is found nowhere else! To safeguard Viognier's original typicity, the OAC's trade body created a conservation centre for old vine strains that best represent Viognier's riches, thus ensuring the enduring quality of Condrieu wines. abandon their vines, and Viognier barely survived, grown over just a few hectares (8ha in 1965). As recently as 1986, only 20ha of Viognier was planted, all in Condrieu. The appellation gradually recovered and the planted area developed to reach the current 140 ha. and abroad. 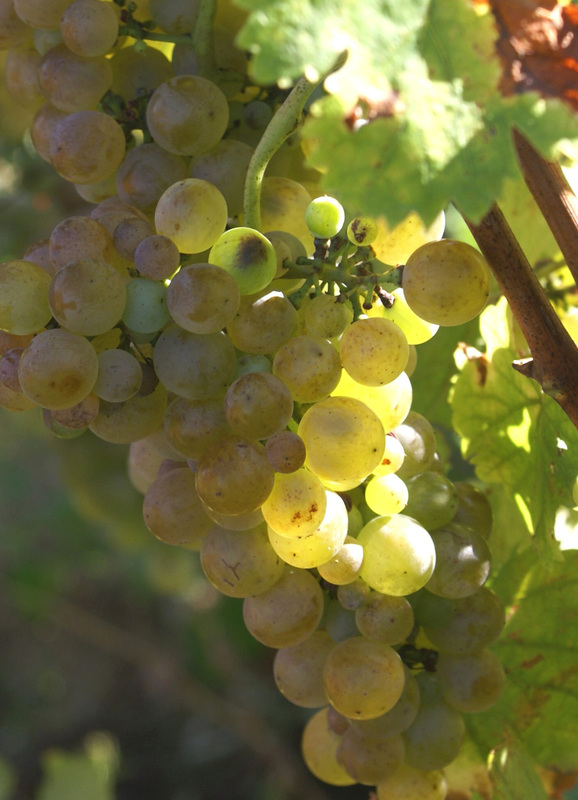 As of 2005, 3,255ha in France was planted with Viognier. complement the dominant Syrah (up to 20% of estates are planted with it). on its own in varietal wines. 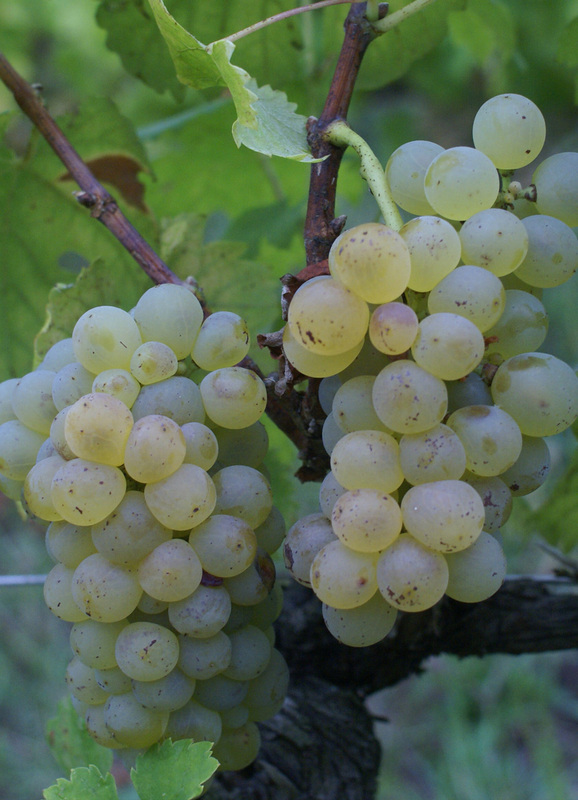 Further afield, Viognier is grown in Italy, Spain, Greece, Switzerland and Austria. -its young green leaves with slightly bronze markings. density; and erect and flat hairs. Ripening period : second period, two and a half weeks after Chasselas. southern-French areas. Bud burst occurs early, exposing it to spring frosts. Viognier has no particular vulnerability to disease. It is not over-sensitive too grey rot. mainly, to add finesse and aromatic character to red wines. 1042 and 1051 were selected for their growing characteristics and the quality of the wines they yield.